← How Can Occupational Therapy Help You? Physical therapy can help get you back on your feet today! This kind of therapy addresses injuries and illnesses that limit or prevent your ability to move and perform physical abilities. So when you are looking for Physical Therapy in Brooklyn, New York look no further than Road to Recovery Physical and Occupational Therapy! We are here to help you regain your independence and your ability to live a normal life once again. There are many different kinds of benefits and advantages you can enjoy from top-notch physical therapy! Do you have an old sports injury that is constantly giving you pain or is your back killing you every day? Through physical therapy, we can help treat these conditions to allow you to live a life free of pain. We use a number of different kinds of methods, to help manage your pain. Our goal is to help you regain your independence, your normal life, and allow you to continue doing the things you love without the pain! Do not let your pain dictate your life and live life on your own terms today! Physical therapy can address a number of different kinds of issues such as sports related injuries, frozen shoulders, fractures, carpal tunnel, neck pain, back pain, arthritis, and more! Some of the different treatments we use in order to treat these issues are massage therapy, therapeutic exercise, balance training, postural re-education, and more. Our services are designed to make sure you can regain your strength, your physical capabilities, and to help you live life to the fullest! When you find it difficult doing the things you love because your body hurts, your joints hurt, you do not have the strength, or just simply lost the physical capability to handle it. Then you need physical therapy. 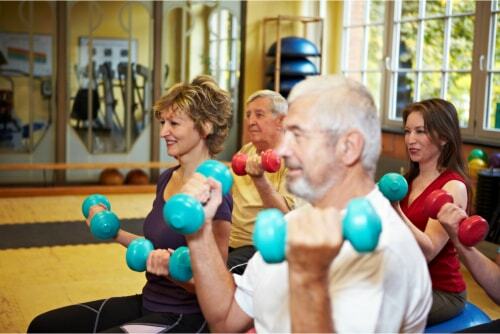 The main objective of physical therapy is to help you regain the life you lost. There is no excuse to live with the pain or to deal with limited physical capabilities, we are here for you and we will help you every single step of the way, so you can live the life you want and do the things you love. If you are interested in learning more about physical therapy and how it can help you out, or if you would like to learn more about the other kinds of services we have available for you. Please do not hesitate to visit our website anytime at b2hpt.com for more information anytime. Also, if you have any questions that you would like to ask us, feel free to give us a call today at 718-868-8668. We also have physical therapy in Far Rockaway. This entry was posted in Road to Recovery and tagged back pain, Finding Your Independence, fractures, Physical Therapy, sports injuries, stroke. Bookmark the permalink.